The Gulf Cup Blue Marlin Shootout: Winner Takes All on July 4th! Which State Wins the Cup? The Gulf Cup Blue Marlin Shootout: Winner Takes All on July 4th! Which State Wins the Cup? 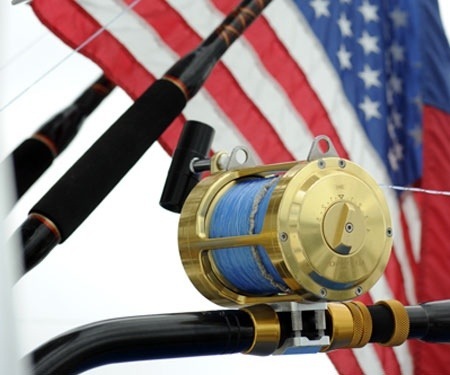 The Gulf of Mexico, United States—The Gulf Cup Blue Marlin Shootout pits not only the best fishing teams in the region against one another but also the associated marinas and even the states of the Gulf Coast in a new one-day, winner-take-all event to be held on the Fourth of July. At stake is a year’s worth of bragging rights in addition to significant prize money based on the number of participating boats. The competition will be twofold: the team with the largest blue marlin takes home the cash but the city, state and even the weigh station that weighs the winning fish will take home the prestigious Gulf Cup trophy and bragging rights for the next twelve months. 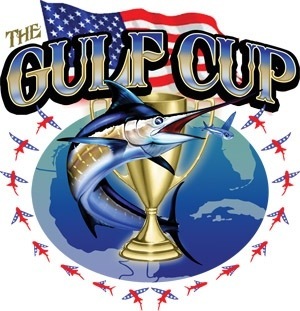 Imagine the tourism departments in each state printing the headlines the following day that the state of Texas (or Louisiana, Alabama, Mississippi or Florida) has won the prestigious Gulf Cup, proving that the billfishing off their shores is indeed the best in the Gulf of Mexico. The fishing boundaries will range from off South Padre Island, Texas to Key West, Florida, with lines in the water at 7:00 a.m. on July 4, 2013 and lines out at 4:30 p.m. (within each participating boat’s time zone). There are eight established weigh stations: two in Texas, three in Florida and one each in Mississippi, Alabama and Louisiana. The Texas locations are the Pelican Rest Marina in Galveston as well as the Fisherman’s Wharf Marina in Port Aransas; in Louisiana, Cypress Cove Marina in Venice; the Mississippi weigh station is at Barksdale Pavilion in Gulfport; for the state of Alabama it will be Orange Beach Marina, Orange Beach; and in Florida there will be weigh stations at Harbor Walk in Destin, Galati Yacht Sales in Anna Maria and Conch Harbor, Key West. The entry fee is just $3,000 per team and it’s winner take all! There’s no better way to celebrate the Fourth of July than fishing for big blue marlin in the Gulf. For more information and to register for the Gulf Cup Blue Marlin Shootout, visit www.thegulfcup.com. On June 10, 2013 / News / Comments Off on The Gulf Cup Blue Marlin Shootout: Winner Takes All on July 4th! Which State Wins the Cup?